HERE'S THE DRAWING YOU ALL HAVE BEEN WAITING FOR! Our FOURTH quarterly patient referral contest has arrived for 2018! is to refer your friends, family, and co-workers. for the months of OCTOBER, NOVEMBER, DECEMBER. family, or co-workers referred to our office. your name is automatically entered. Did you know if you refer someone to our office and they come as a new patient, you are automatically put in a drawing? 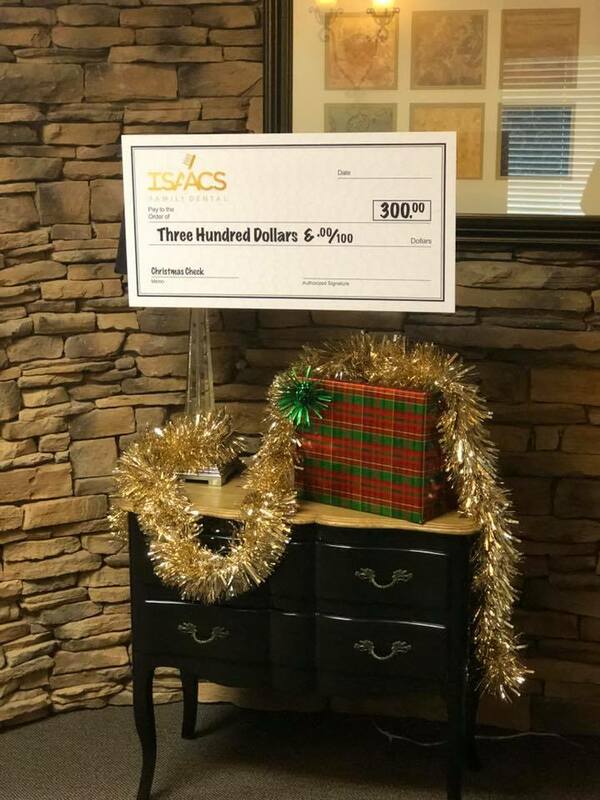 Dr. Isaacs will give $100 to a lucky winner EACH month to those who have referred someone and came in that month. There's no limit and the more you refer, the better chance you have! and they are put into the quarterly drawing of a special big prize! The greatest compliment you can give our office is to refer your friends, family, or co-workers. This gives you 3 months to get all those referrals in and it is that easy.